and how to cast it using the lost wax method. and its source in Cyprus, sacred to the goddesses. and arsenic or tin to make the metal harder. has been found in Serbia. influenced the development of culture. was traded as far as Phoenicia. an alloy of copper and zinc. 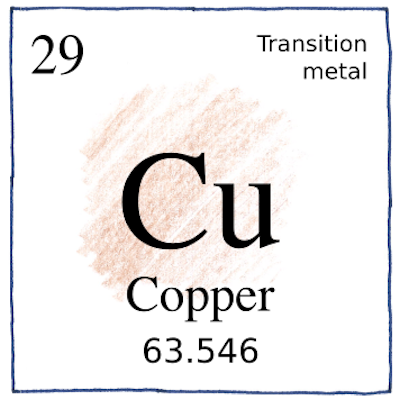 of an alloy of copper, lead, and tin. an alloy of copper, silver, and gold. of copper and one-third tin. of bell metal, too, with 23% tin. above the boiling temperature of liquid nitrogen. evoking the joy of being curious. Bronze, copper with one-tenth tin, is typically harder and less brittle than wrought iron, but iron was cheaper to mine and process. Bronze doesn’t rust like iron, but forms a protective surface layer of copper oxide or copper carbonate. This ancient date represents not when ancient man first discovered copper but the first evidence that of it that modern man discovered.